Originating as a group of friends at Marburg University in 1971, and originally known as Juma, whilst playing a five month residency at a club in Wiesbaden. Changing concept, with radical ideas for a music that combined all sorts of conflicting elements they later decided on the much more apt name Pell Mell when signing to Bacillus Records. Consistent from their inception, Pell Mell lacked one essential thing: a guitarist. So they asked Andy Kirnberger (of the local band Frame) to work with them on a part-time basis. Thomas Schmidt is quoted as saying, that what they wanted to play was "a synthesis of pop music, jazz and the works of the old masters" yet what they came up with was much more than that. MARBURG saw a unique combination of psychedelic and progressive sounds, complex and lyrical, with subtle classical touches handled in a manner rivalling the best Italians of the era. A unique touch was the two lead vocalists, each with a distinctly different style, drawing comparisons with Gentle Giant. And, the music was really quite avant-garde for classical-rock, not least so the closing opus "Alone" which moves on to the realms of PHALLUS DEI era Amon Düül II. a superb and justly highly regarded debut. Expanding the line-up, with an extra keyboard player, gave Thomas Schmidt more room with his violin, and FROM THE NEW WORLD saw them move to directly adapting classical works, not least a lengthy and radical rock rewrite of the "New World Symphony", hinting at instrumental Curved Air. 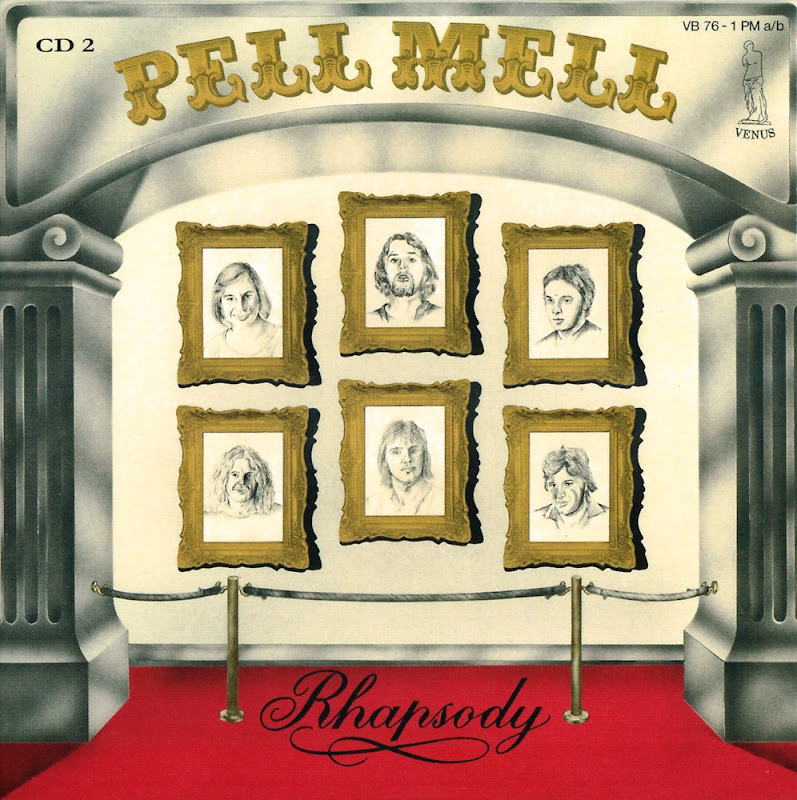 After two albums on two different labels, Pell Mell were left in the cold for some time. By the time of RHAPSODY, some serious changes had happened, they'd become a virtual orchestra, now with three vocalists! It's classical rock as high art, no doubt. Yet, it's strange that virtually the same band went on to make the vastly inferior ONLY A STAR. Though, all good things have to come to an end. In the late-1970's a few musicians from Pell Mell established their own record label PM Records, to release music by local Marburg talent. Pell Mell changed concept and became Skyrider. Later, Thomas Schmidt tried to resurrect the Pell Mell concept solo, by re-working their earlier "Moldau Suite" opus.